Aeropostale, Coca-Cola, Foot Locker, Jamba Juice and Macy’s have signed up to take part in the US NFC joint venture’s pilot trials, along with a number of local grocery stores, retailers, gas stations, coffee shops and restaurants. Isis has announced the first merchant partners for its pilot trials, due to begin this summer in Austin, Texas and Salt Lake City, Utah. Austin: 34th Street Cafe, ABC Home & Commercial Services, Austin Diamond District, Ben White Florist, Book People, Brodie Park Market, Chez Remy La Sandwicherie, Dogadillo, DoubleDave’s Pizzaworks, Downtown Burgers, Elbe Body, Iron Works, Milk+Honey Spa, Rosemary’s Catering, Round Rock Express, Texenza Coffee, Touch of Sass, Twin Liquors and University Co-op. Salt Lake City: Barbacoa Mexican Grill, Bohme, Cactus and Tropicals, Caputo’s, Deseret Book, Eborn Books, Great Harvest Bread Company, JMR, Lola Bella, Maverik, McKay Diamonds, Mini’s Cupcakes, Oakridge Country Club, PGi Services, Salt Lake Running Company, Sugar House Coffee, Supersonic Car Wash, Utah Transit Authority, Utah Woolen Mills, Weller Book Works, Zagg and The Larry H Miller Group, including All-Star Catering, Energy Solutions Arena, Fanzz, Larry H. Miller Megaplex, Larry H. Miller Automotive, Miller Motorsports Park, Salt Lake Bees, Spring Mobile Ballpark and Utah Jazz. “Today’s announcement signals the mobile commerce experience has arrived,” says Jim Stapleton, Isis’ chief sales officer. 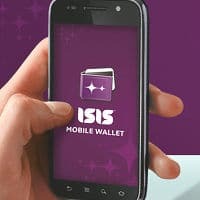 “A strong merchant base in Austin and Salt Lake City will make the Isis Mobile Wallet real for consumers as they choose to use their mobile wallet at many of their favorite merchant locations to pay and redeem offers.